The weather has warmed up, and you have run out of excuses to finally build that compost bin – a magical contraption that you’ve heard turns yard waste and kitchen scraps into fluffy, nutrient-dense, black gold. Whether you’re most interested in form or function, a compost bin is a valuable – and even attractive – addition to the backyard. Composting guidelines – and free plans for composter construction – are available from the Extension service in many states. What type of composter you choose depends on how much money you wish to spend, how much space you have for the composter and how much raw material you’re generating for composting. For smaller yards, a barrel-style composter may be a good fit. 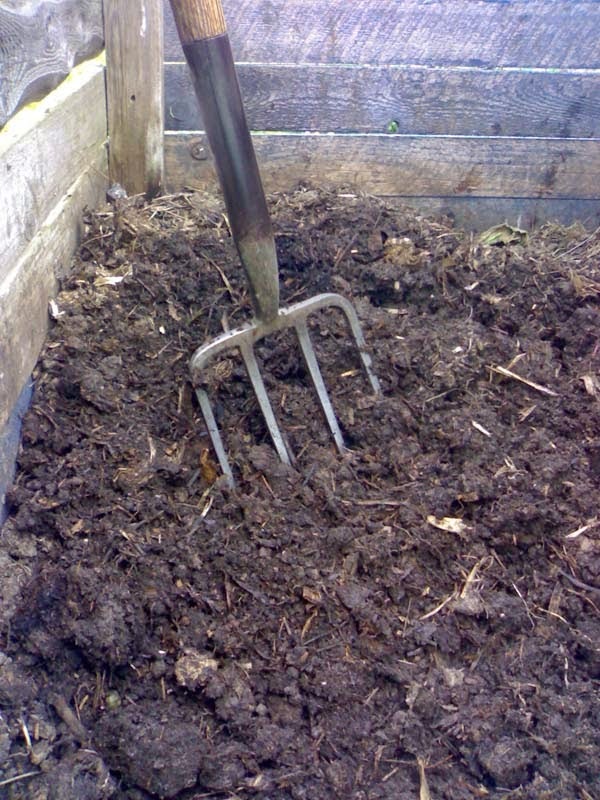 This composter relies on frequently turning the raw wastes to make compost. 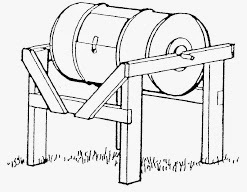 Barrel composters are available for purchase from many gardening companies, but it is relatively inexpensive to make your own, especially if you can find a cheap or free barrel. Hint: look for one that has hauled non-toxic or food-grade ingredients. 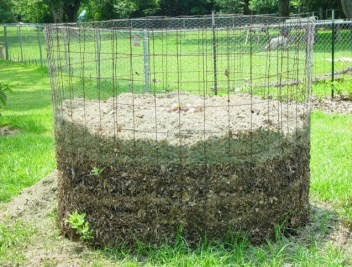 Check out the plans for barrel composters, and other composters, from the University of Wisconsin Extension at http://www4.uwm.edu/shwec/composter/how-to-build-a-compost-bin.cfm. Smaller yards and homeowners might also check out self-contained worm composters; consult university plans for good guidelines. Smaller bins can cost around $100 – or much less. 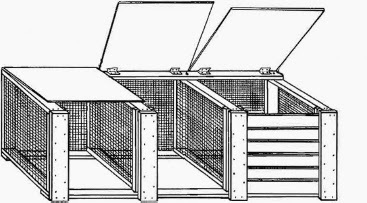 A common design for a standalone compost bin, which may take months to break down materials, is a 3’ x 3’ or 4’ x 4’ wood slat bin. One common design uses leftover shipping pallets for construction. The key for this bin, like any good composter, is making sure the compost structure has openings for air to circulate. If you have more space, lots of compostable materials and a bigger budget, consider a three-bin wood and wire unit.This unit depends on turning and moving the composting materials from bin to bin, depending on the stage of decomposition. Learn how you can save money and turn your fall leaves into spring flowers and plant food in the infographic below. It’s spring, and lawn and garden centers – as well as other big box retailers – are lining up shelf after shelf of fertilizer, soil amendments, weed killers and insect controls. So we thought it would be a good idea to review the basics before spending time and money on products to improve the lawn and landscape. Fertilizers provide three essential nutrients for plants: Nitrogen (N), Phosphorus (P) and Potassium (K). The three numbers on a fertilizer label (like 10-10-10) tell how much N, P and K are available per 100 pounds of the fertilizer. Fertilizers come from different sources; most commercial fertilizers are produced using relatively low-cost, large-scale chemical processes. A wide variety of organic fertilizers are also available; these are usually more costly and often contain ingredients derived from animal proteins, byproducts of the rendering process. Knowing what kind of fertilizer you need starts with knowing the nutrient content of your soil, and the nutrient requirements of your turf, landscape or garden. Soil testing will help you determine the soil’s needs; a good soil test will let you know how much fertilizer to apply. After that, fertilizer choices are largely based on your personal preferences, budget and landscape situation. One thing to watch: avoid over applying fertilizer or applying in situations when the nutrients are likely to leach or run off the soil, rather than soaking in and feeding your plants. Soil amendments may contain nutrients; but amendments are usually applied to promote soil and plant health. For example, incorporating compost into a garden bed will provide some nutrient boost, but compost also increases organic matter in the soil and the soil’s ability to retain and drain water. Some soil amendments, like lime and sulfur, are added to change soil pH. Herbicides (weed killers) may kill a broad spectrum of plants or more specific kinds of plants. Common lawn herbicides killing more specific plants include broadleaf weed killers and crabgrass inhibitors. Caution is urged when applying herbicides, especially broad spectrum herbicides, as they can affect both target and non-target plants. Insecticides are substances that kill bugs! Like herbicides, insecticides may either kill a broad spectrum of insect life – pests as well as insects that can be beneficial to the garden – or be targeted more specifically (think: wasp killer). Biological insecticides usually involve materials and organisms that are derived from organic sources. An example is Bacillus thuringienesis bacteria, which can control caterpillars that invade broccoli, cauliflower and other garden crops. 1. Know what you need to “fix” or control – and apply the proper product rate to meet that need. Over application wastes product – and your money – and can even create potentially toxic levels of nutrients and pesticides in the environment. 2. Follow product labels. Always. Using products “off-label” is against the law. 3. Understand resistance. Weeds and insects can develop resistance to herbicides and insecticides. That means that what works this year may not work next year. Alternating products and methods of control will help avoid this problem. 4. Don’t underestimate elbow grease. Taking a little extra time to dig out problem weeds in a garden bed – or even a lawn – is a form of “mechanical” control. Really pesky weeds may require a mix of both herbicidal control and cultivation. Also, using a lawn vacuum like a Cyclone Rake will help. It collects the weed seeds as you are mowing – keeping them from spreading themselves around the yard. Some insects may even be controlled by trapping – or plucking them off the plants they are attempting to munch! April is a month of firsts for many lawns – first spring flowers popping up in and around the lawn, first fertilization, and the first mowing. That makes it a good time to review some important lawn care tips, courtesy of the National Association of Landscape Professionals, who remind us that April is National Lawn Care Month. If you have to water your lawn this year, make water count. It’s a valuable resource. Water in the early morning or later in the evening to let the moisture soak into the soil, avoiding evaporation. 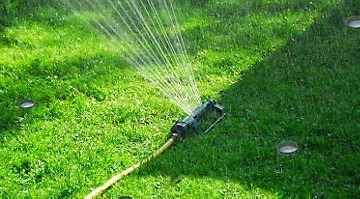 Consider using irrigation systems that minimize water usage. Deep watering every few days, rather than everyday watering, best nurtures turfgrass roots. Know what your soil needs; conduct a soil test to see if any nutrients are lacking in your lawn. Then apply slow-release fertilizers that feed appropriate amounts of nutrients over time to the grass. Some homeowners even spread a thin layer of finished compost onto the lawn in the spring for an organic nutrient boost. Remember to keep nutrient sources away from storm drains and other places where water flows freely. 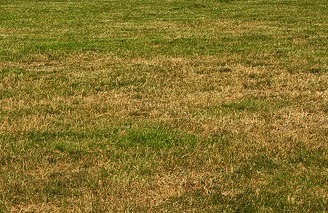 A lush, deep green lawn through the whole season may not be best. The National Landscape Professional Association urges its members and homeowners to “Embrace the Brown” during periods of lower rainfall and higher heat in summer. Most turfgrasses will enter a natural dormancy stage, where the grass crown “shuts off” sending up new blades and older blades brown. Many turfgrasses, especially cool-season grasses, will shoot up green blades with rain and cooler temperatures. Irrigating can keep the grass from going into dormancy – but not irrigating during a couple brown weeks can save water, and the grass probably won’t miss a beat. Spring seeding may be unavoidable, such as repairing large areas of damage from a winter construction project. But if winter damage is not widespread, wait until later to seed. The turf may bounce back. 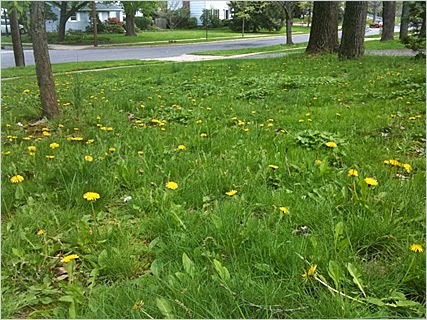 Another benefit: less aggressive weed growth in the fall, when crabgrass is at the end of its lifecycle. View the infographic below to learn about some of the most unsuspecting animals that can actually destroy your yard, as well as tips on keeping them away. Get Ready for Spring … It’s Coming … We Promise! Homeowners the country over can’t wait for spring. The winter seemed longer and harder than usual in much of the North, and much of the Southeast welcomed spring with cold, wet conditions. At the opposite extreme, drought still persists in much of the West. No matter where you live, keep these time-tested tips in mind as you ready your lawn and landscape for spring. The first sunny day of spring unleashes the urge in many of us to get digging. But tilling up soil still wet can adversely impact soil structure – and leave clods that can last for months. One easy test: if a clump of soil breaks apart while you bounce it up and down in your hand, the soil is likely ready to till. But rather than tilling as soon as possible, here’s a better idea: it’s still not too late to pull a soil sample for testing. Then stock up on soil amendments, like lime and sulfur, which you’ll need in your lawn or garden. Be patient with your lawn, too. Spots that look winter-killed might surprise you by bouncing back this spring. Bare spots bigger than 4-inches square will likely need repair; but cool-season turf is best established from seed in the fall. 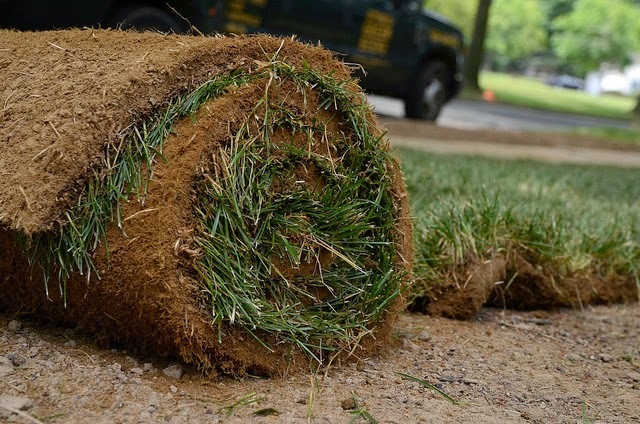 In most regions, lawns may be renovated with sod in the spring; still, waiting until the fall can usually save some watering for sod establishment, too. Here’s something you can do this spring: incorporate generous amounts of organic matter, like compost, into your lawn’s trouble spots. If you’re willing to live with some brownish-black spots this summer, you’ll reap the reward of far better soil fertility for fall seeding. In most areas, temperatures are almost back to where the microbes that break down compost piles start waking up and doing their thing. Turn (aerate) your compost after the winter weighed it down. Feed it with carbon sources - leaves and other “brown” yard waste that you have picked up with your Cyclone Rake. Follow that with nitrogen-rich “greens” that will come with early mowing and weeding. A compost pile “remodel” – if your pile could use some new walls or other sprucing up – is a great early spring project. Try two or three 3-foot by 3-foot bins, moving compost to the next bin to aerate it as it decomposes. 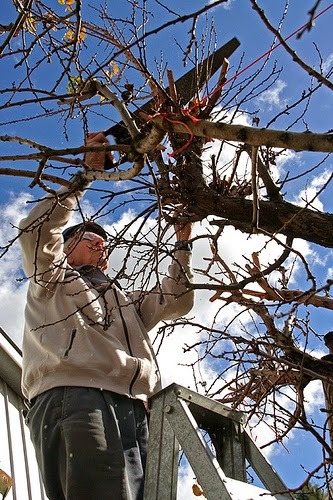 Winter dormancy, the ideal time for pruning many trees, is passing quickly as trees wake up from winter. But most spring-flowering shrubs are best pruned after flowering. Patience is also a pruning virtue; wait until the blooms are gone. Trees and shrubs may be thirsty, especially in areas where snowfall was less than average. Consider early spring watering, especially for flowering trees and perennials. Some emergency care may be required for trees and plants damaged by spring storms; a clean cut for splintered branches helps keep possible disease problems at bay. If a tree must be removed, try to avoid excessive foot traffic and heavy equipment that can compact damp soils.